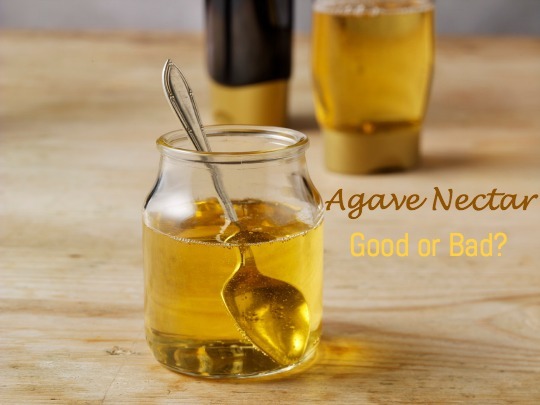 Over the last year I have had a lot of people ask me about agave nectar (or syrup) as a replacement for sugar so it’s finally time for an explanation! Agave came to be a popular sugar alternative because it was touted as a ‘low glycemic’ option vs regular sugar. This is definitely the case that it does not spike your blood sugar as much, however there is another side to the story, well two other sides actually. First of all, agave is a highly processed sweetener, and requires heat, chemicals and significant processing to get it to the form it is. Now, this isn’t necessarily the end of the world, but it is worth noting because once it’s been heated and processed, it loses much of the nutritional value it might have. Secondly, and more importantly, agave nectar has anywhere from 55% to 90% fructose content – higher than high fructose corn syrup!! I think most people now know to avoid high fructose corn syrup (HFCS), so it is shocking that agave can actually be higher in fructose than HFCS. Why does this matter? Fructose is metabolized directly by the liver. There, the liver converts it into fats (triglycerides & cholesterol) which, research shows, contributes to weight gain, insulin resistance and increased risk of diabetes, high cholesterol and heart disease. You already know that sugar is bad, so realistically your best bet is to avoid it. For the occasional healthy dessert, I’d recommend using raw honey, which has proven anti-bacterial and anti-microbial affects, or organic maple syrup, which has a relatively high mineral content. Note that while there are some health benefits to maple syrup and honey – they are still sugar!